The Deluxe Fort with Lower Level Enclosure will add the perfect play option to your backyard. 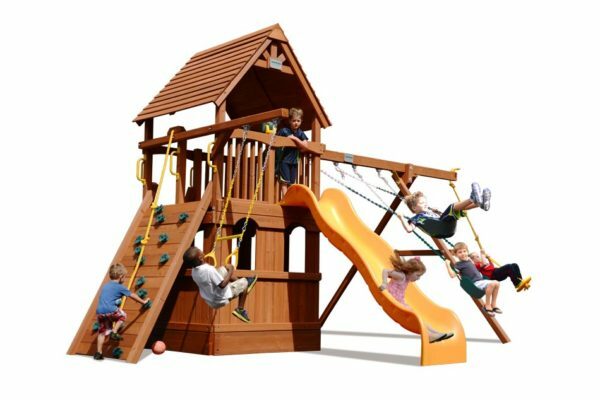 This playset, made with all cedar construction, comes with a rock wall, lap beveled wood roof, lower level enclosure with floor, and a variety of features to keep any active group of youngsters (or adults) entertained for hours. What better way to introduce exercise into your child’s life while they’re just having fun?